Bouillabaisse is a Provençal fish stew that traditionally contains at least five different types of fish and is served with rouille, a Provençal mayonnaise-style sauce often coloured with saffron or chilli. In Marseille, the home of bouillabaisse, it is often made with more than five types of fish and using only the freshest fish. 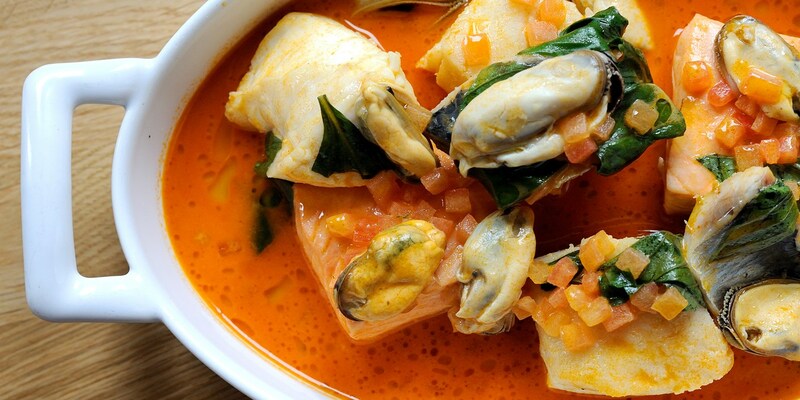 This collection of bouillabaisse recipes features Tom Aiken's classic bouillabaisse dish, which can be served in a number of ways, with the broth and fish plated separately, or in one steaming bowl - either way this is an incredible recipe. Mark Jordan's deconstructed bouillabaisse recipe served with bok choi and saffron aioli is a beautiful starter that remains true to the traditional flavours of the stew, even though the presentation has been refined. For a hearty version that’s a simple to create at home, there’s Stephen Crane’s delicious cod with bouillabaisse sauce.